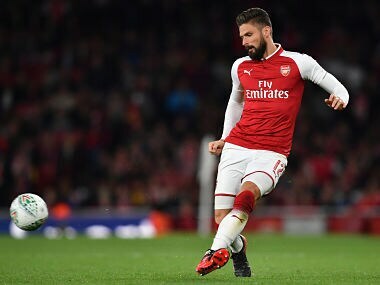 Paris: Olivier Giroud got his 100th Arsenal goal as a youthful Gunners side beat BATE Borisov 4-2 in Belarus in the Europa League on Thursday. 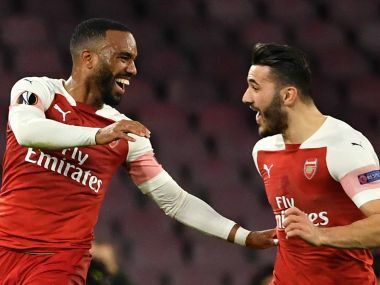 Theo Walcott netted twice for the Premier League club and Rob Holding was also on target as they eased to a second victory in as many matches in Group H.
It was two comparative veterans who combined for Arsenal's early opener, though, with Jack Wilshere setting up Walcott to head in from close range. "When you score four goals away from home, you're always likely to win," Walcott told BT Sport. 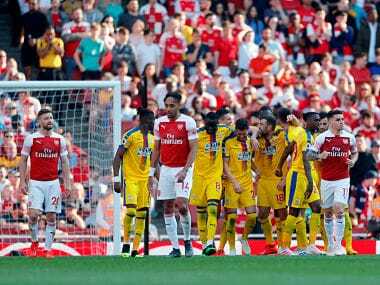 "There was a chance for me to take the penalty for a hat-trick, but knowing Olivier Giroud was on 99 goals, it was a great opportunity for him so that's why he took the penalty." 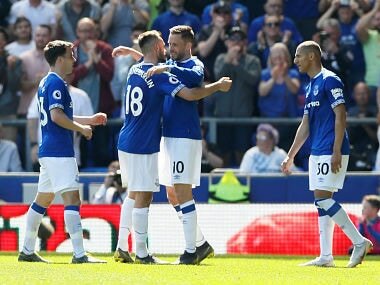 But just as the crowd were starting to get on the home side's backs, Wayne Rooney pounced on a woeful back-pass to score his third goal since returning to Goodison Park from Manchester United. 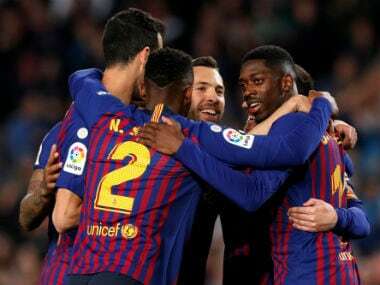 But after Valentin Roberge was red-carded, Ronald Koeman's out-of-form hosts switched off and Yuste flicked in a header from a free-kick. There was still time, though, for Cutrone to convert Fabio Borini's cross in the fourth minute of injury-time.